HubBroker has made pre-defined integration adaptors for various cloud-based business systems. HubBroker iPaaS transforming and routing all types of document and data. After logged in HubBroker navigate to dashboard screen which is displayed in below image. From right hand side widgets you can find Support, Switch User,Change Language,Link. Chat - HubBroker provide online customer support service. Knowledge base - Knowledge Base provide detailed description about HubBroker Integration Platform (iPaaS), so that user can access iPaaS more easily. HubBroker support danish,french and english language.You can change language according to your needs. Switch User facility provides only for Customer Admin. Customer admin have rights to switch user's account and manage their accounts. 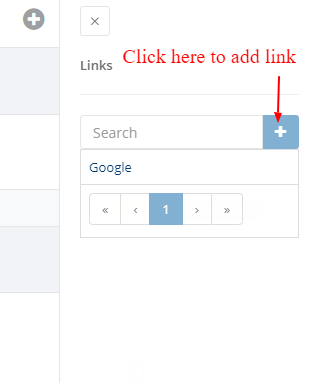 User can store and manage their important links. Navigation in left menu bar you can find Adaptor, Gateways, Mappings, Network, Analytics and Lookup. Adaptor is a service with easy setup and management of data integration process. Configure your source and destination details to exchange documents with HubBroker or trading partners. Gateway is a communication protocol to exchange all type of documents. Mapping is mainly used for converting files in different format according to business requirements. HubBroker provides a unique feature to expand your data and/or document exchange with your customers and suppliers.